One of the things a mom cannot tolerate to see is her child in pain. A stomach pain is one example because by just being an observer,one cannot really tell the degree of pain, where the pain is coming from, what causes the pain, and how serious it is. Nakakakaba talaga. 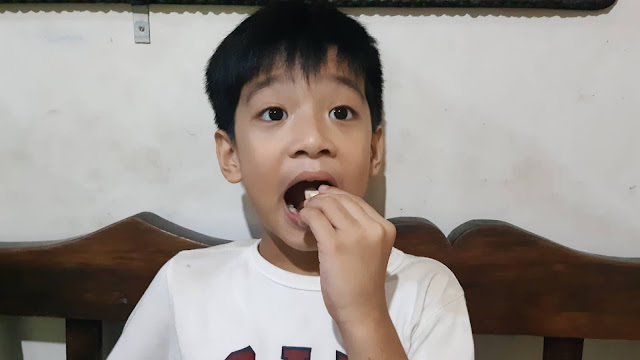 So it's really important for our kids to have healthy tummies to avoid this unimaginable nakaka-panic na scenario at home. Kids tend to have a higher risk kasi of getting digestive health-related diseases such as diarrhea and constipation from harmful bacteria. A stomachache isn’t only uncomfortable; it alters the child’s mood and his or her attitude for the day. That's why apart from daily food supplements that my kids take such as their multi-vitamins and additional dosage of Vitamin C with Zinc, they take Erceflora Probibears 2-in-1 Probiotic Supplement for kids. Why do we need Probiotics? Probiotics are live microorganisms that help maintain the balance of good and bad bacteria in the digestive tract. Did you know that a human digestive tract has about 100 trillion healthy bacteria. Bacteria aid in digestion and help the body defend itself against illness. Thus, probiotics can aid with immunity and help protect us and our kids from common colds and flu. But because of poor diet, stress or by taking antibiotics and other medication, balance couldn't be achieved most times. We can get probiotics from food such as yogurt and beverages, but the quality in those may not be enough. So how do we get the right amount of probiotics for our children? 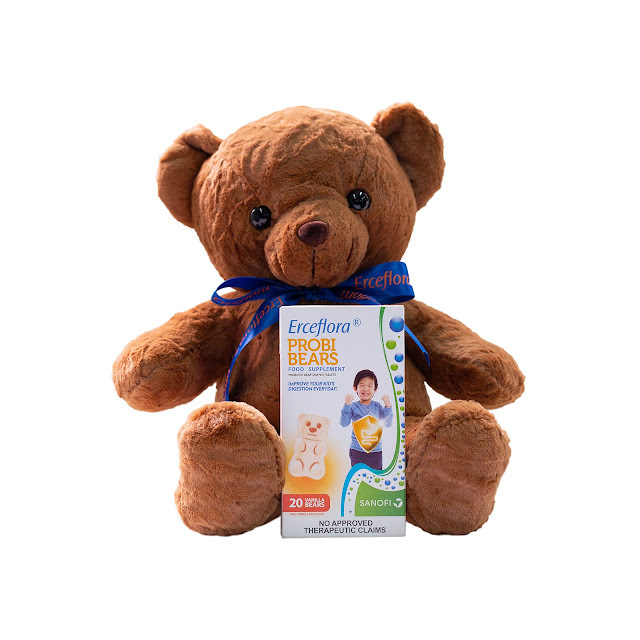 These are good bacteria that help prevent gut problems such as diarrhea, upset stomach, and other digestive illnesses to help keep kids happy and healthy everyday. Lactobacillus is an effective treatment against infant colic and even helped improve immunity. Bifidobacterium helps ease digestive issues such as bloating and flatulence. It also has a longer shelf life. Since Wes has been taking it, he has not complained of tummy aches, he regularly poos with ease. 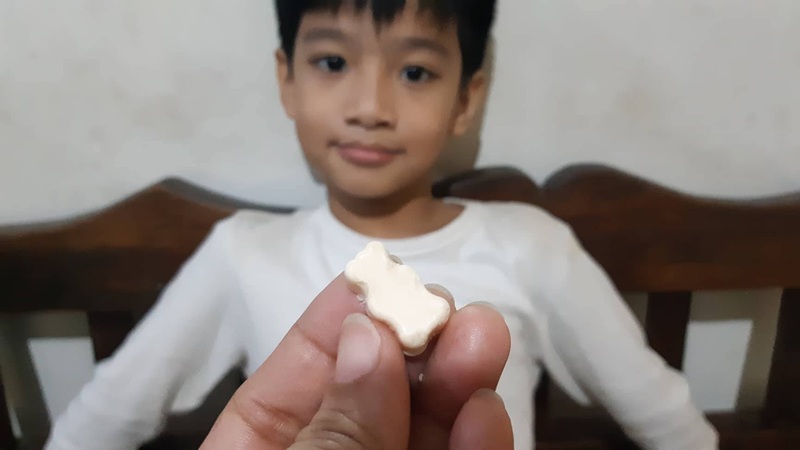 He also said it tastes good that he wants to have more than just one (one ProbiBear per day is the suggested dosage). We're happy to be trying Erceflora ProbiBears and will now be part of his daily must-haves! Prevention is better than cure! Erceflora ProbiBears is available at select Mercury Drug and South Star Drug branches for only Php540 SRP per Box of 20s. 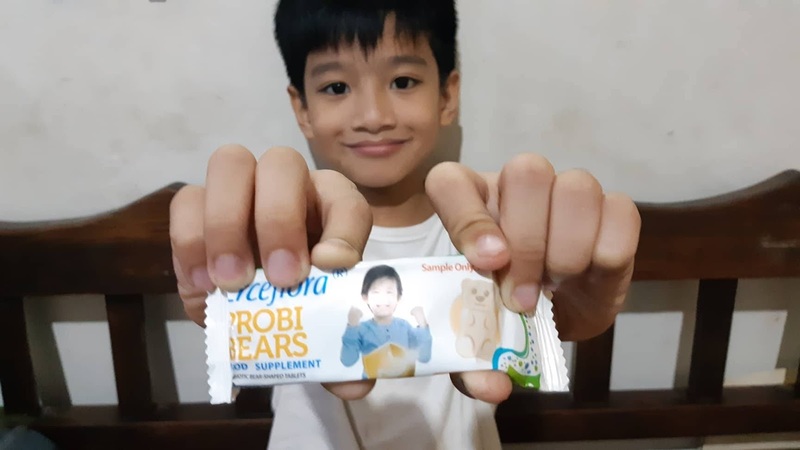 To know more about Erceflora ProbiBears follow their story on social media with the hashtags #Erceflora #Probibears.